Reading a memoir adds another story layer to what’s happening between the book covers. While you’re engrossed in the story the author is telling, you’re also marveling that the author is so open and frank about her life. 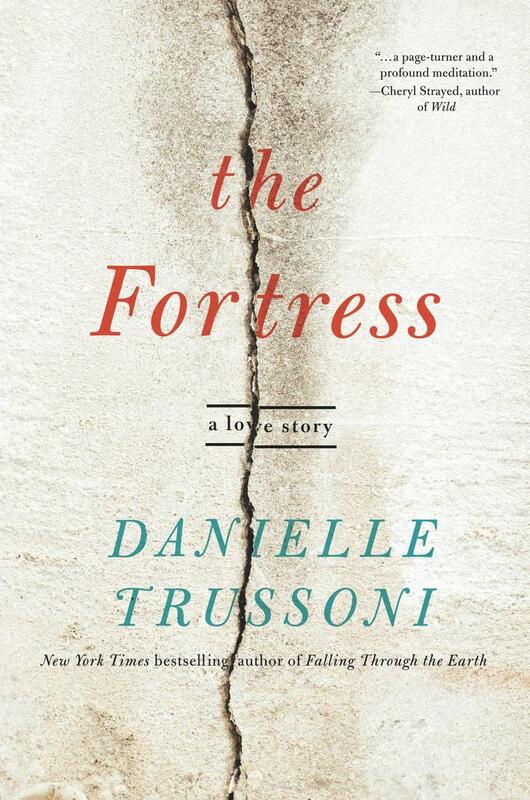 The Fortress doesn’t shy away from laying bare all the awful choices Danielle Trussoni made, which makes for a story that’s sometimes distasteful. I don’t typically read memoirs, but I wanted to read The Fortress because the setting sounded so idyllic: a castle in France. Who wouldn’t want to live in a French country village? In fact, the village in The Fortress is the only cheerful thing in the book. Trussoni paints a picture of sunshine, flowers, fresh bread and wine. The warmth of the village, however, fades as Trussoni’s marriage hits the rocks. 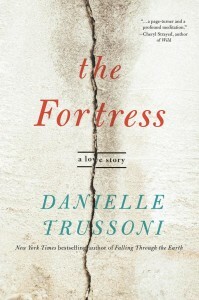 The Fortress is about Trussoni’s marriage to a Bulgarian writer, and what happens as his secrets are revealed. She describes him as a magician, and she certainly falls for his tricks. He’s handsome, talented and cultured. He’s essentially the man she had always dreamt about. When she meets him, she’s young and naive, even though she already has a failed marriage and a child. Their relationship is complex, and Trussoni tells an honest, yet frustrating, story. During the first third of the book, Trussoni attempts to portray Nikolai, her new love, as she saw him. She writes about why she fell for him, and her hopes and dreams for their future. She doesn’t spend time on the unanswered questions she and the reader must surely have, so the book becomes very frustrating. Any reader who has had a relationship can clearly see what she either can’t see, or chooses not to see. I nearly stopped reading the book because of this. The Fortress was becoming too much like a romance novel that didn’t have any layers, insight or depth. However, after the first third of The Fortress, Trussoni’s real story begins. I realized she saved all the doubts and aspersions on Nikolai for the rest of the book. The Fortress is written almost like a crescendo, beginning with very little in terms of character or plot, and growing into an absolute maelstrom of betrayal and pain. I marveled that Trussoni wrote so honestly about Nikolai and his problems, as well as her own inadequacies. Because it’s a memoir, and not an autobiography, I know she crafted a story from her memories and feelings that is, probably, very one-sided. If Nikolai wrote his own memoir, I’m sure his version of their marriage would be very different. Even so, Trussoni writes in such a simplistic way that the events of her story take center stage, not her feelings or insights, of which I wanted much more. I wanted her to examine more closely why she let their charade continue for so long. I wanted her to lash out at Nikolai in the book, but she never devolves into bitterness, which means, perhaps, the memoir is truer to what actually happened than if she demonized her husband. As I said before, I almost stopped reading The Fortress. Nikolai is very obviously a dysfunctional person, and Trussoni is irresponsible when it comes to her relationship with him. Too many times I found myself wondering, “Where’s her son?” She comes off as a neglectful, almost stupid, parent. The two of them are just awful and unlikable, which may turn off readers. The Fortress reads like fiction, because you can’t stop wondering what they’ll do or say next, or where their marriage is headed. The suspense builds slowly to an end that isn’t completely satisfying, because, of course, this is real life and not fiction.